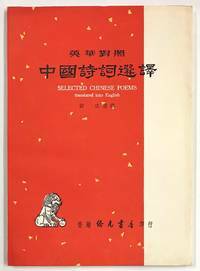 Hong Kong: Chang cheng hua bao she, 1956. 136p., very good paperback. Pages evenly toned; some black and white illustrations. 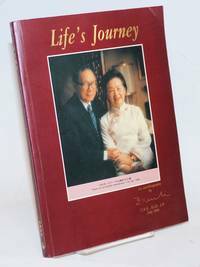 Lin Huan was a pen name used in the 1950s by the novelist better known as Jin Yong, perhaps Hong Kong's greatest writer. 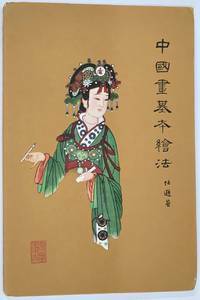 This is a non-fiction work on Chinese folk arts such as dance and opera. Hong Kong: Yuen Yuen Institute, 1971. 40p. in English, 24p. in Chinese; stiff card covers somewhat foxed. 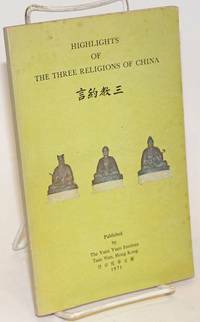 Syncretic look at Buddhism, Confucianism, and Daoism. Hong Kong, 1966. Eighteen issues of the staplebound journal, several issues with moderately worn covers, otherwise very good. Issues present are vol. 2 nos. 2, 5, 8, 9, 11-15 and vol. 3 nos. 1-8 and 10. 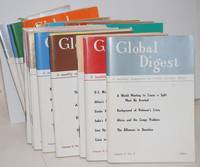 An ostensibly nonpartisan digest of international political reportage, including reprints from such newspapers as the NY Times and Le Monde, but generally weighted toward the socialist camp, with many Soviet, Chinese, North Korean, Cuban, and other articles. Hong Kong: Xin Zhonghua hua bao she, 1962. Thirteen issues of the pictorial magazine, generally in very good condition with occasional wear, some corner creases; no. 106 has closed edge tears to rear cover. Interior illustrations are mostly black and white, with text in Chinese and English. Numbers present are 9, 11, 72, 73, 97-100, 103, 106, 108, 110, 113. Each issue is approximately 9x11 inches, with size varying slightly over time. 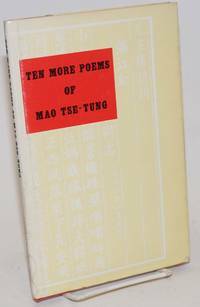 Hong Kong: Eastern Horizon Press, 1966. iv, 33 pages, two plates, very good hardcover in slightly worn dustjacket with old price sticker on front flap. 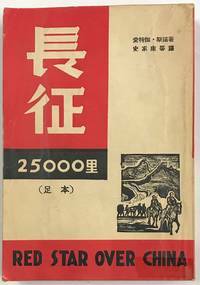 Hong Kong: Tai Wah Press & Co, 1953. 175p., hardcover, the white cover somewhat toned and lightly worn, some foxing. Hong Kong: Wan li shu dian, 1963. 101p., very good paperback. On using the slide rule. Hong Kong: Dong ya yin wu you xian gong si, 1959. 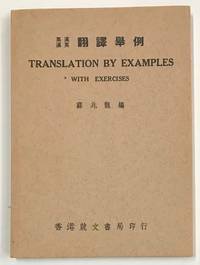 Unpaginated paperback, chielfly black and white illustrations captioned in both English and Chinese. Hong Kong: Wan li shu dian, 1961. 134p., stiff wraps, very good but for bumping at corners. 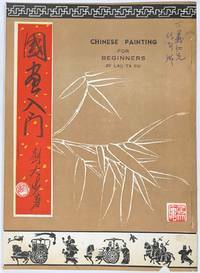 On Chinese painting. Hong Kong: Qiao guang shu dian, 1965. 102p., very good paperback. 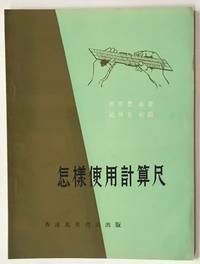 Chinese and English text on facing pages. 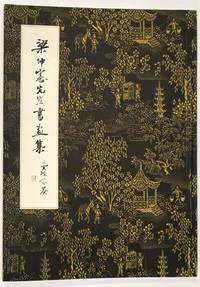 Hong Kong: Ju zhu lou hua yuan, [196-]. 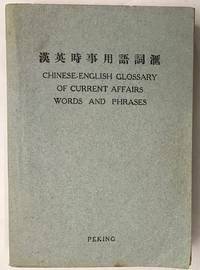 Unpaginated slender paperback, text in both Chinese and English, with black and white photos of artwork (and of the author instructing the governor of Hong Kong). 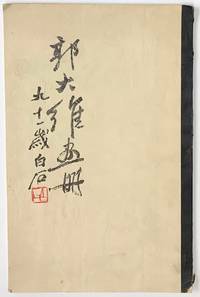 Inscribed on the front cover to [Huang] Keyi, who was part of the San Francisco Chinatown art world. Small chip at bottom of the front cover. 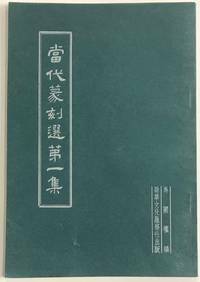 Hong Kong: Qi ming shu ju, 1950. 460p., paperback, clear tape repairs at spine ends, paper toned. Second Hong Kong printing. Hong Kong: Da jiu gong si, 1965. 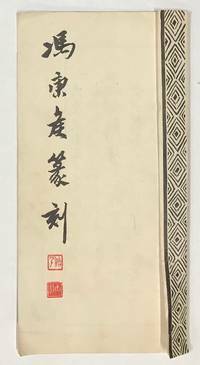 Accordion-folded brochure reproducing twelve inscriptions and 23 seal imprints by the master seal carver. Light handling wear, very good, 4.3x8.5 inches when folded. 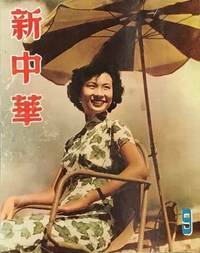 Hong Kong: Jing wen shu ju, 1952. 165p., paperback, very good. 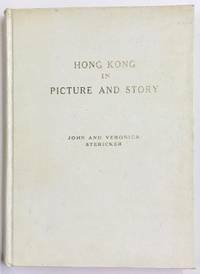 Hong Kong reprint of the Shanghai 1936 edition. Hong Kong: Hu Jiajian, 1953. 23 unnumbered leaves, slender paperback, black taped spine fraying at ends. 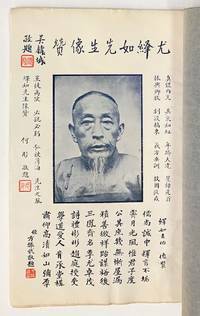 Black and white photos of paintings by the former student of Qi Baishi, who contributes his calligraphy for the title. 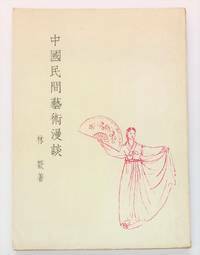 Hong Kong: Xi nan tu shu yin shua gong si, n.d.. [17 double leaves], slender paperback bound with thread in traditional format, title label and textblock edges worn, some foxing and staining, last page has some dye transfer from blue rear cover. Tributes to You written in the calligraphy of various contributors. 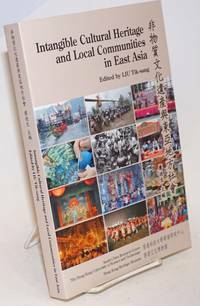 Hong Kong: self-published, 1993. 117p. in English, 110p. in Chinese, paperback, cover has some corner wear, interior very good. By the first woman to be appointed to the Legislative Council of Hong Kong, who was instrumental in banning polygamy in 1971. Hong Kong: Shao hua wen hua, n.d.. 68p., slender paperback, very good. Contents are mostly reproductions of seals by modern artists of the craft, with brief text.